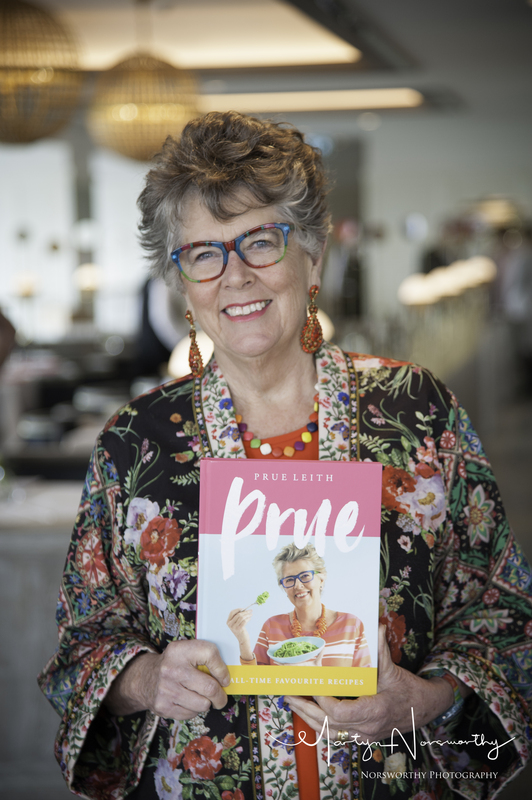 Prue Leith launches new cookbook at Salcombe RNLI 150th celebratory lunch hosted by the Grose family at Thurlestone Hotel. In September 1869, the first Salcombe Lifeboat, “The Rescue”, was launched at Dodbrooke Quay, Kingsbridge and rowed to her new home at South Sands which was built on land donated by the Earl of Devon. The Rescue was paid for by Richard Durant of Sharpham. 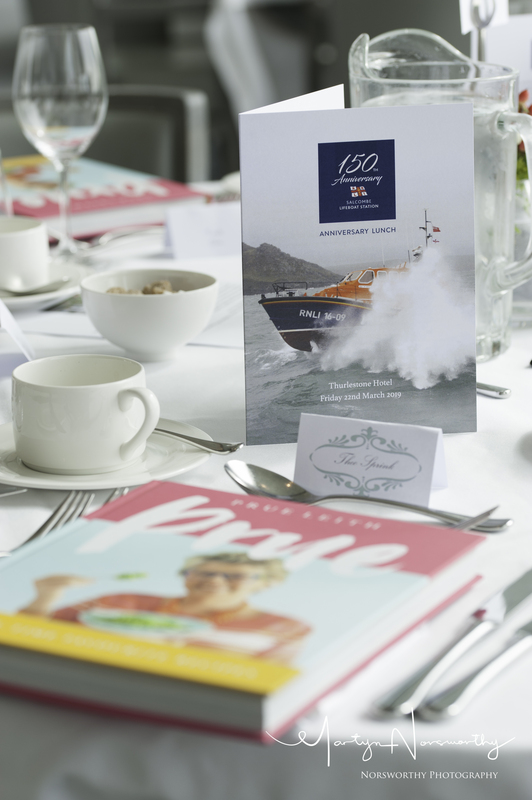 2019 marks 150 years of commitment and service towards the Salcombe Lifeboat with a full programme of events leading up to a Lifeboat Festival over the weekend of 21/22 September. 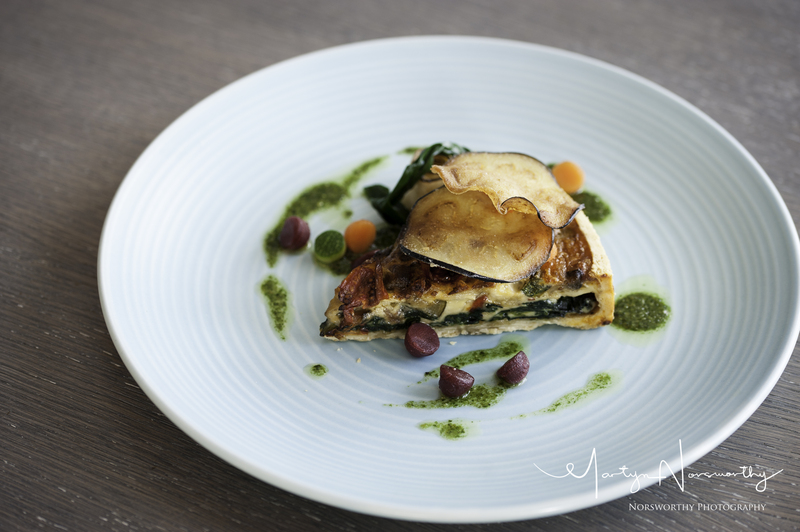 Thurlestone hotel, worked in partnership with local food and drink suppliers to help create a delicious three course menu for the 100 guests who attended the ticketed event. The Thurlestone Hotel, family owned since 1896, prides itself in supporting local charities and in particular the RNLI as it is as non funded charitable organisation and helps to protect and look after the area where the hotel is located. The RNLI is very close to the Grose families’ heart, and David Grose has had the honour of being their Chairman in the past and is very involved with the charity. Thurlestone Hotel and Salcombe RNLI would like to thank everyone who attended the event for their support, and the suppliers, The Bake House Salcombe, Christopher Piper Wines, Kingfisher, Challices, Forest Produce, Salcombe Brewery, Café Du Monde, Martyn Norsworthy and Nick Walker printing who all helped to make this event a great success. The aims of the Salcombe RNLI 150th Anniversary year are simple: to spread the word and encourage support from all over the South Hams, to commemorate (with two Jim Martins statues) this area’s service and commitment over 150 years, and to celebrate and ensure a firm base for the future. There will be many ways in which everyone can get involved so please follow the Salcombe RNLI through their website, and on Facebook and Twitter accounts. A Station history book (authored by Museum curator Roger Barret) is available now and 30-minute documentary, produced and directed by Chris Tizzard, will be released in the Spring.